The T25CF001 is a 25mm fabric dome with moderately high efficiency. SEAS, ensure excellent performance and consistency. Low viscosity magnetic fluid which provides excellent cooling while maintaining a low resonance frequency. 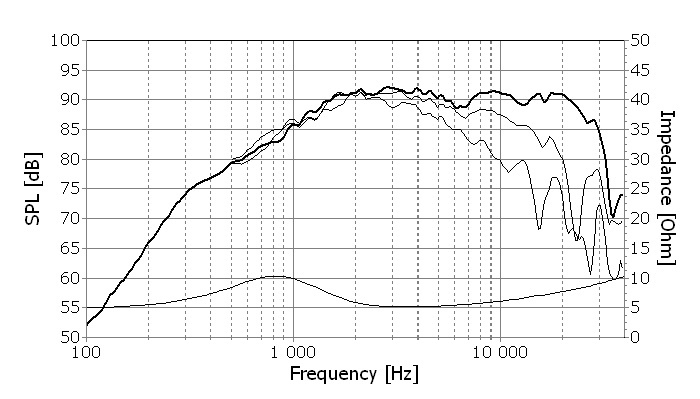 linear frequency response, and a stiff and stable connection to the cabinet. reinforcing ribs, which eliminate unwanted chamber resonances and reflections. 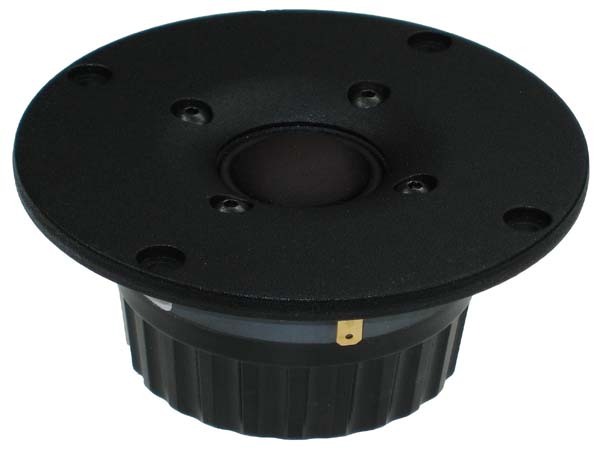 A double magnet system which increases sensitivity and provides better control of the voice coil. 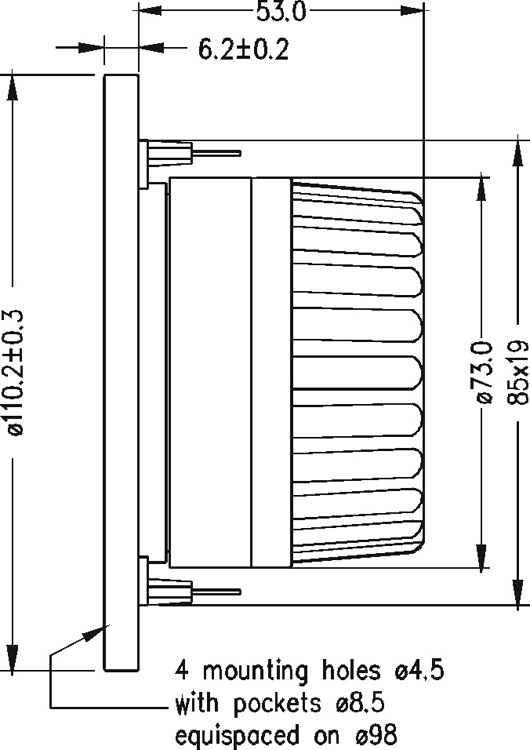 This system also reduces the magnetic stray fields, making the T25CF001 an ideal choice in high end A/V applications.